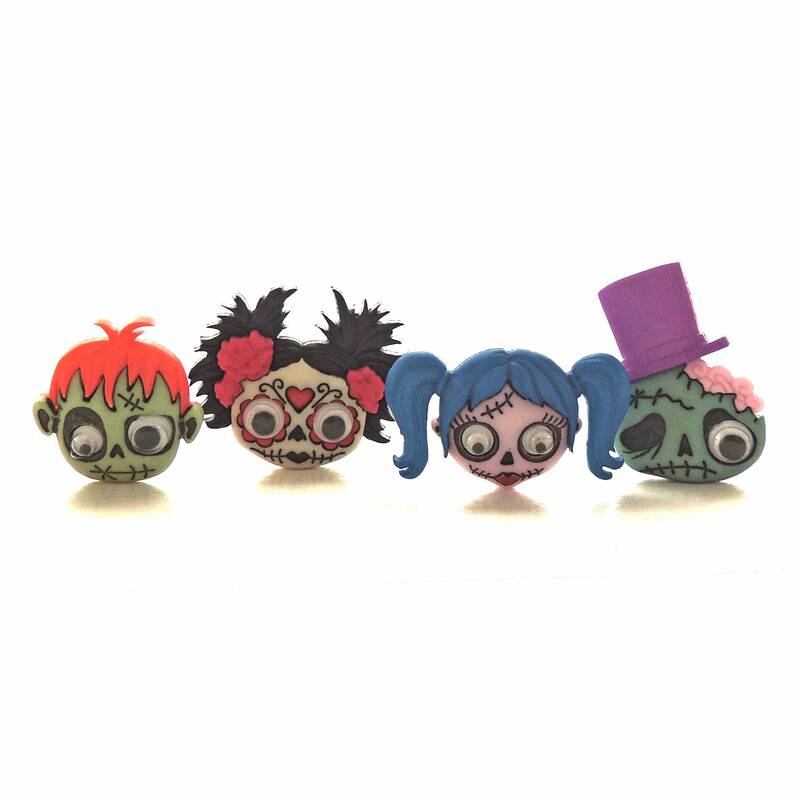 Take your Halloween craft up a notch with these adorable Zany Zombie Buttons by Dress It Up! It's perfect for any Halloween-themed sewing, knitting, crochet, scrapbooking or kids' craft! 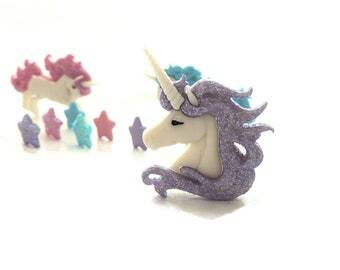 You'll receive the assortment shown; sizes vary, but buttons measure between 1"- 1 1/2" wide. Looking for other Halloween buttons? Here's a link for those!